Urban legends are always fun. It’s a marriage between historical folklore, extraterrestrial myths and legends. Whether they’re true or not, they still add character to the towns they allegedly inhabit. Some of these legends have plagued these areas for hundreds of years and have even had movies made after them. Here are just a few of these interesting urban legends from around America. The thing used to be werewolves but that’s old news: Beware of the Wereotter. It even has Charlie Sheen searching for it. The actor even takes his private plane to Alaska in the hopes of finding one of these. People in Alaska call it Kushtaka, the otter-man who drowns fishermen while they sleep. When you list freaky urban legends, you can never not list a goat. Apparently, there was a scientist who specialized in goats at the Beltsville Agricultural Research Center in Maryland, when one of his experiments didn’t go as planned, and turned him into a monster (cliché, I know). 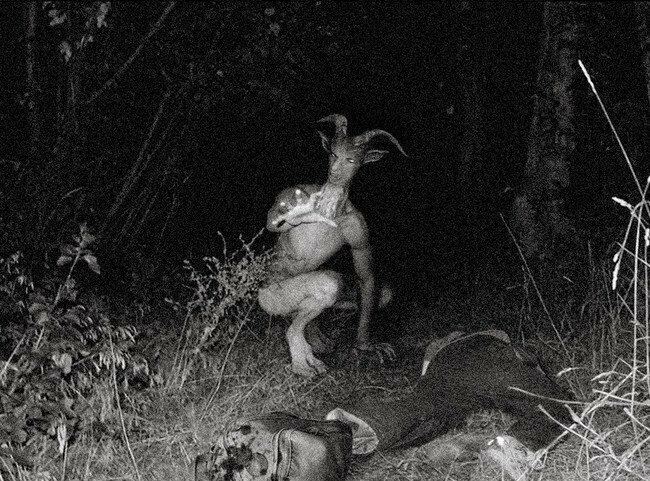 People now believe that the Goatman now spends his days stalking parked cars holding an ax. 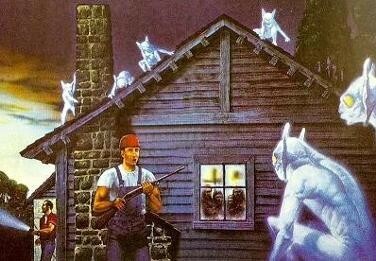 Apparently, a gang of goblins has been terrorizing Kentucky over the years. 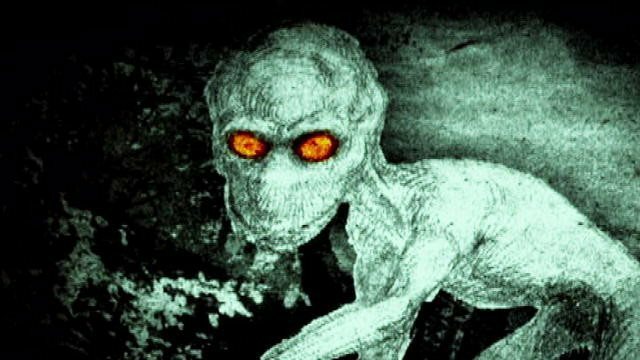 In 1955, a Hopkinsville family had been attacked in their home by a gang of these supposedly, extraterrestrial beings. A giant frog has been lurking alongside a forested highway in Ohio since 1952. It appears in predictable patterns as well and some say the frog returns to the same area every few years. 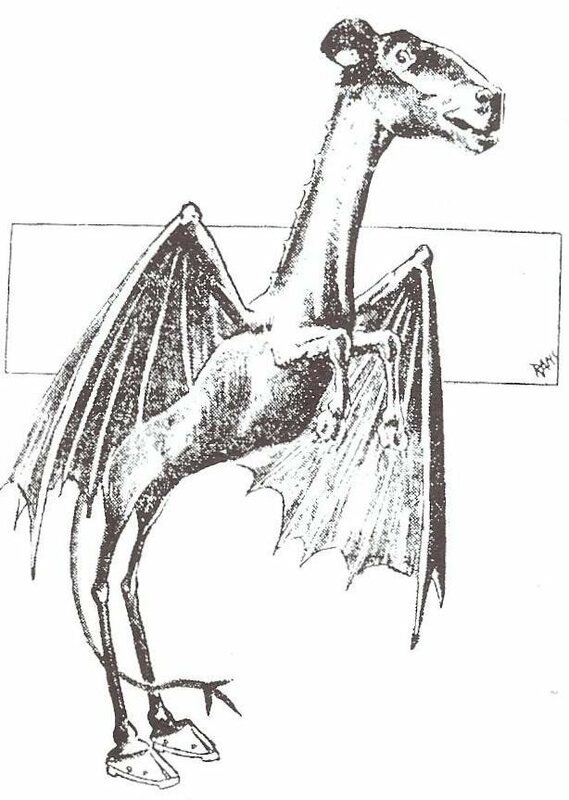 If the body of a kangaroo, the wings of a bat, and the forked tail of a devil doesn’t freak you out enough, I don’t know what will. This freakish thing has been inhabiting the Pine Barrens of New Jersey. 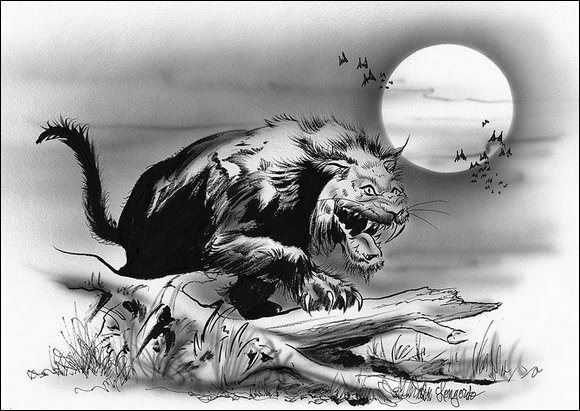 In North Carolina, a real-life panther allegedly roams the forest in search of small children and animals. The panther has become so accepted by North Carolina residents that they even hold festivals every year in order to appease the strange creature. 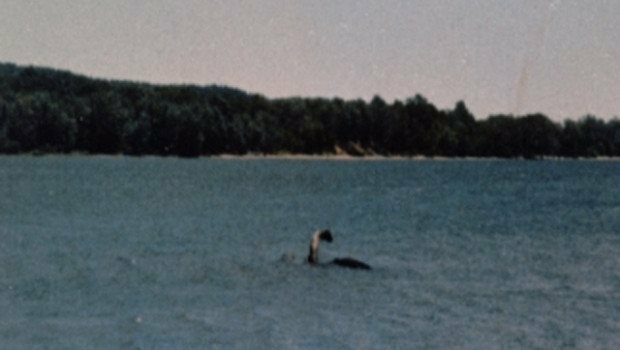 This unusual creature was seen in Dover, Massachusetts in 1977. It hasn’t officially been labeled a “demon” since no one really knows enough about it. Some of the locals suggested that the creature may actually be a foal or a moose calf. 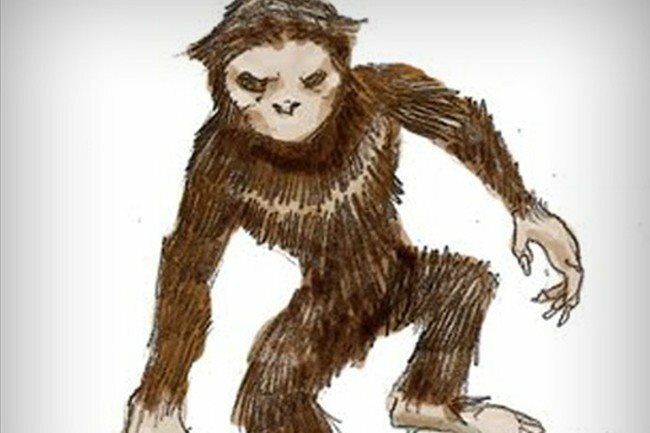 It recently gained worldwide attention… drawing comparisons to stories such as that of Bigfoot and the Loch Ness monster. If you were wondering where the Loch Ness Monster was, look no further – it’s been in New York and lives in Lake Champlain. A natural freshwater lake in North America, situated across the U.S.-Canada border in the Canadian province of Quebec. The locals have given it the name Champy or ‘Champ’, and there has been over 300 reported sightings. The Mothman Prophecies anyone? Scary movie right?! Anyways, on November 12, 1966, five men who were digging a grave at a cemetery near Clendenin, West Virginia, claimed to see a man-like figure fly low from the trees over their heads. 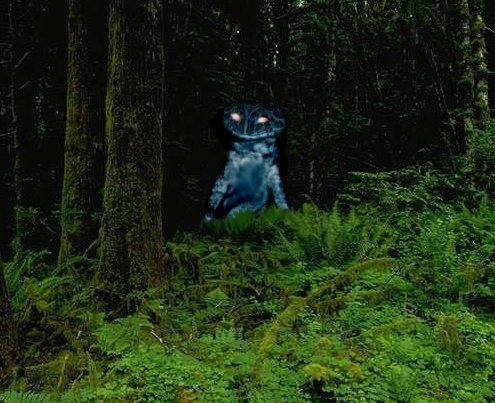 This is often identified as the first known sighting of what became known as the Mothman. The next day, Point Pleasant Register titled the article, “Couples See Man-Sized Bird…Creature…Something” when he first was spotted. 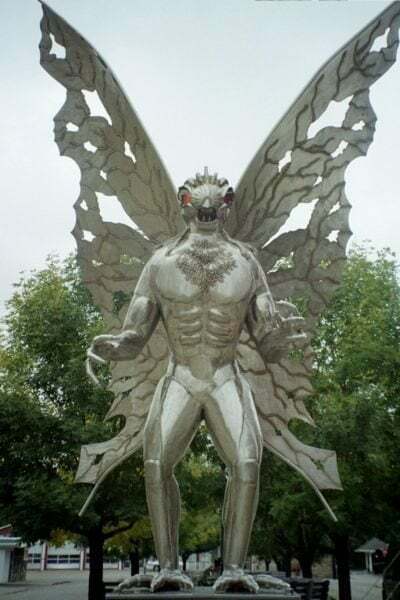 West Virginia took so much pride in the mysterious moth creature that they built of statue of it in Point Pleasant. This creature is terrifying. It looks like a werewolf/deer/goat, and has been ravaging the forests in Minnesota eating children… apparently (why is it always children). 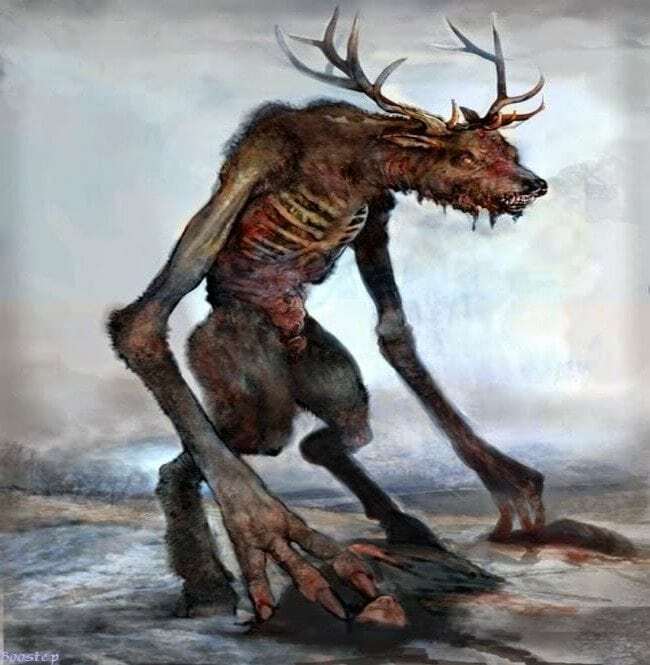 The legend lends its name to the disputed modern medical term Wendigo psychosis, which is considered by psychiatrists to be a form of culture-bound syndrome with symptoms such as an intense craving for human flesh and a fear of becoming a cannibal. The legend stems from the Algonquin folklore thousands of years ago along the Atlantic Coast and Great Lakes Region of both the United States and Canada.